The rain has been relentless this week. Our bottom field is flooded all the way to the river again, the third time this year. This is seasonally wet ground, so the flood doesn’t do any harm for now since we don’t expect these fields to be dry until sometime in May. Still, a full fledged flooding of the river to our ground usually only happens once a season, so it feels like something! In fact, we are breaking rainfall records for March, so the feeling of too much rain isn’t just a “spring in the Pacific Northwest” kind of grumble. There has been A LOT of rain this week! In spite of the somewhat oppressive feeling of the weather in general over here, though, I still find myself outside in a break from the wet, harvesting parsley for market tomorrow and breathing in such fresh, fresh air, thinking about how absolutely beautiful it is out. 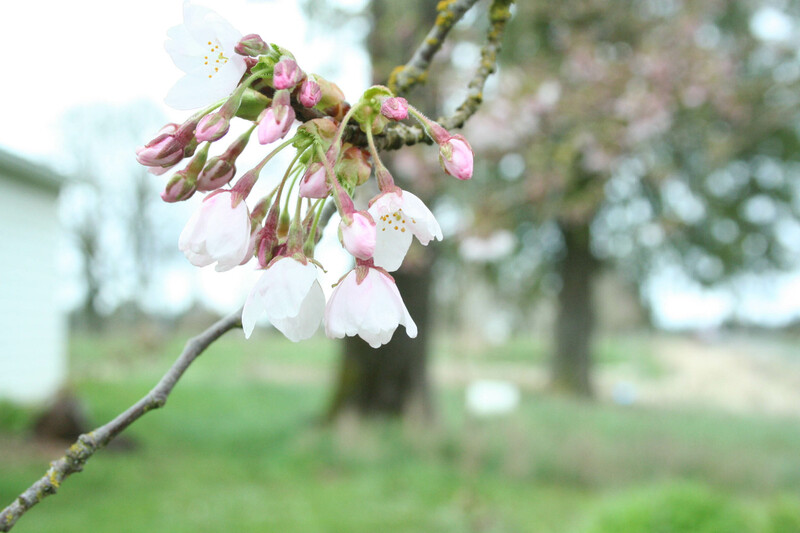 Happy to be breathing, bathed in the smell of the cut herb, intoxicated by a tree full of cherry blossoms overhead, thrilled at the wildness of the patch of baby parsley’s all gone to seed and perennialized–my favorite kind of garden. The children are climbing trees while the baby giggles from below. 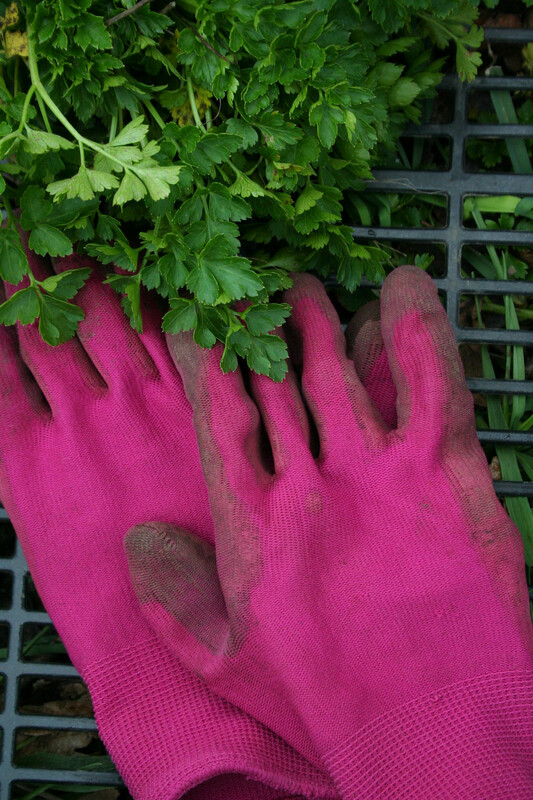 I have my favorite hot pink gardening gloves on that were picked up on the cheap by the farmer for me and aren’t nearly the best we have on hand, but do the job and bring a smile to my face at the same time and are much easier to keep as a pair than his millions of left handed ones on the porch with no match! And then we walk to the main field, grab some rutabagas for dinner with a lazy, old black dog and spry, young black cat following us, the two most favorite companions of our small boy right now, so he is laughing at them as I hold him in one arm, the harvest in the other. Did I mention the air is so fresh? And I am just so in love with it all–this farm, these kids and their father, this wild and precious life. Sometimes it is impossible to live your dream and I don’t think we all get the chance. And I really do know full well that at any moment I might lose the chance I have been given. But there are these moments, and I just can’t believe the simple happiness of it all.